Bake pie crust as directed on package for baked shell. Cool 30 minutes or until completely cooled. Spread 2 cups ice cream in cooled baked shell. 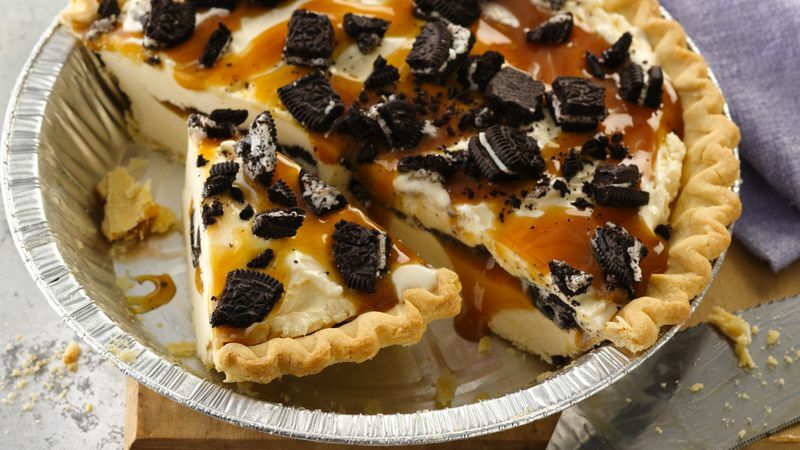 Drizzle half of the caramel topping over ice cream; sprinkle with 1/2 cup of chopped cookies. Repeat layers. Freeze at least 2 hours before serving. Store in freezer.